A patient considering having partial dentures should consider Valplast™dentures. These are partial dentures that are uniquely different from regular aesthetic dentures both in their look and their construction. They are composed of regular and non-breakable nylon resin and is meant to be virtually impossible to break or damage. The benefits of this technology are that Valplast™ partial dentures due to their flexibility allows it to adapt to the constant movement within the patients mouth, therefore allowing easy eating and talking which in turn increases patient confidence. Compared to ordinary partial dentures they are less intrusive and are designed fit the mouth exactly therefore excluding the need for metal clasps to hold it in place. This therefore gives it a much higher aesthetic value. Often for patients it feels so comfortable that they often forget that they are wearing them as they are less obtrusive and thinner than ordinary dentures. One of the main benefits is that it is stain resistant and does not easily absorb odor. Valplast™ partial dentures make an excellent choice for anyone who suffers from allergic reactions to dental materials. This is due to the thermoplastic nylon material that does not contain an acrylic monomer and also uses a free coloring agent. 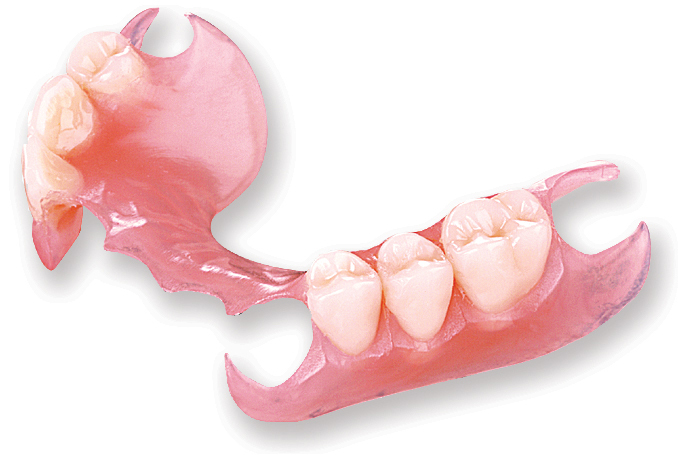 You suitability for this type of dentures must be ascertained by the dentist but are an excellent choice for those with an allergy to dental materials, or those that are unable to wear rigid dentures due to the shape of their mouth or those who have had dental implants to retain a full denture. Dr Pinkhasova has fitted many of these dentures to patients needing a more comfortable form of dentures. To discuss your suitability call our office on 718-897-3434 for an appointment.